JetLite is the leading Indian airline offering low cost air fares and economical air flights tickets throughout India and abroad. JetLite is a low-cost subsidiary of Jet Airways. JetLite was established as Sahara Airlines in September 1991 and began operations on December 3, 1993 with two Boeing 737-200 aircraft. Initially services were primarily concentrated in the northern sectors of India keeping Indira Gandhi International Airport, New Delhi as its base and then operations were extended to cover the entire country. Sahara Airlines was rebranded as Air Sahara in October 2000. In April 2007 Jet Airways took over Air Sahara and on 16 April, 2007 Air Sahara was renamed as JetLite. JetLite – On-Time, Low Fares, Courteous, Hassle-Free, Low-Cost Airlines, Online Flight Ticket Bookings India and Abroad, Discount Airfares, Domestic and International Airline Tickets India. JetLite offers value-based, efficient and hassle-free operation at the best possible fares! JetLite operates a fleet of 8 aircrafts. JetLite flies to various destinations in India, which include important cities like Delhi, Bengaluru, Mumbai, Kolkata, Lucknow, Hyderabad, Pune, and Chennai along with regional destinations like Ahmedabad, Gorakhpur, Allahabad, Bhubaneshwar, Ranchi and others. JetLite airline has recently added JetLite flights to international destinations like Singapore, Colombo, Kathmandu and Chicago (code-share with American Airline) to its network and would be further enhancing it by adding United Kingdom (London) and Malaysia (Kuala Lumpur) shortly. Free baggage allowance will vary depending on the class of travel, route and flight type. 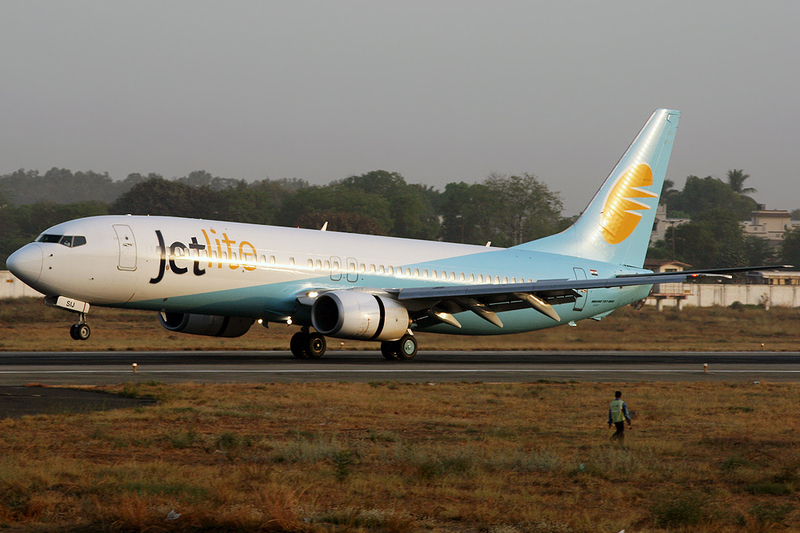 JetLite (Jet Airways) operates a frequent flier program by the name of JetPrivilege. Members of JetPrivilege have dedicated check-in counters, additional baggage, lounge access, priority baggage, tagging and easier reservations. JetPrivelege is based on a four tier model. Passengers can earn JPmiles while travelling with Jet Airways and its partner Etihad Airways, the same JPmiles can be redeemed to upgrade your class of travel, check-in additional baggage and access many more facilities. Book tickets for 10 travellers or more with the premium international airline JetLite by FareHawker flight Group Booking desk. We offer JetLite Airlines group fare facility for all travel portal, travel agencies, corporate & tour operator. Our ex-airliner team members are expert in handling small or large segment of Group Bookings. JetLite Airlines Flight Lowest Group Fare - Buy Group flight tickets with FareHawker for booking domestic airlines group tickets on discounted fare. We are the largest consolidator for Group Air tickets in India. How to book Group Tickets in JetLite Flight ? Any traveller, corporate, travel agency or individual can directly mail to FareHawker GroupDesk team by asking for JetLite flight group fare. Our group booking expert will get back to you on the same trail within 4 hours. Air ticket booking available at lowest airfare for JetLite flights at affordable prices at FareHawker. JetLite flight online booking - Book JetLite Airline ticket online at lowest air fare at FareHawker. Get best offer for JetLite, the low-cost airline flying throughout India and abroad. Book JetLite Airline tickets with FareHawker as we offer the best-in-class fare options for all types of airline bookings. Our dedicated ex-airliner team with their in-depth industry knowledge offers you the cheapest possible fares for domestic as well as international travel. We take pride in our relationship with the airline partners and it is this relationship that allows us to offer you great travel solutions. We are here not only to find the best flights at cheap airfares but also to offer you consolidated travel services so you enjoy a seamless travel experience. Visit Jet Airways FAQ for all related JetLite queries. Terms and condition of FareHawker and Jet Airways for JetLite apply.